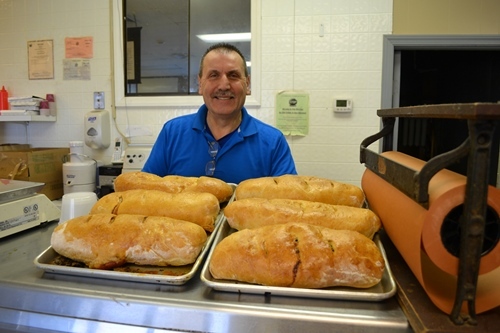 Welcome to North Brewster Deli & Market, serving Brewster and the surrounding community for 31 years! My name is Sal Zuccaro and I own and operate North Brewster Deli. I am at the deli just about every day. We offer Italian and American deli fare and many of our items are made fresh daily on premises. We are known for homemade Italian sausage & fresh mozzarella. Our home baked stuffed breads and muffins are also very popular. Every day we make trays of Italian entr�es (see photo link below) which you can come and pick up in the store. When you are short on time this makes a great meal for the family. Just heat up and serve! Our chicken cutlets, grilled chicken & eggplant are prepared fresh daily as well. Our menu consist of salads, sandwiches and much more. Check out our new inter-active website - try it once & you'll be hooked!